Reading International presents a solo project by artist Patricia L. Boyd installed in an empty shop unit of Broad Street Mall. 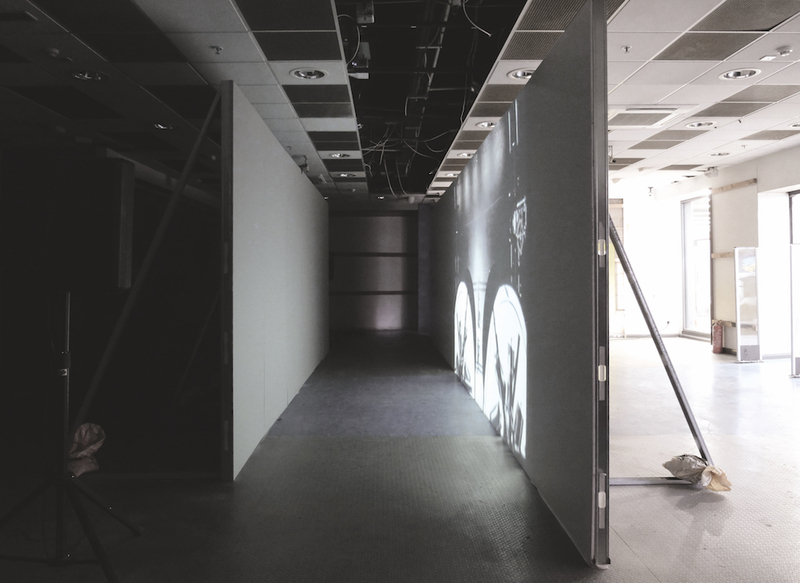 Boyd’s exhibition is configured as a response to the exhibition site and includes a single-channel video installation, Operator (Refinanced I), alongside other works. 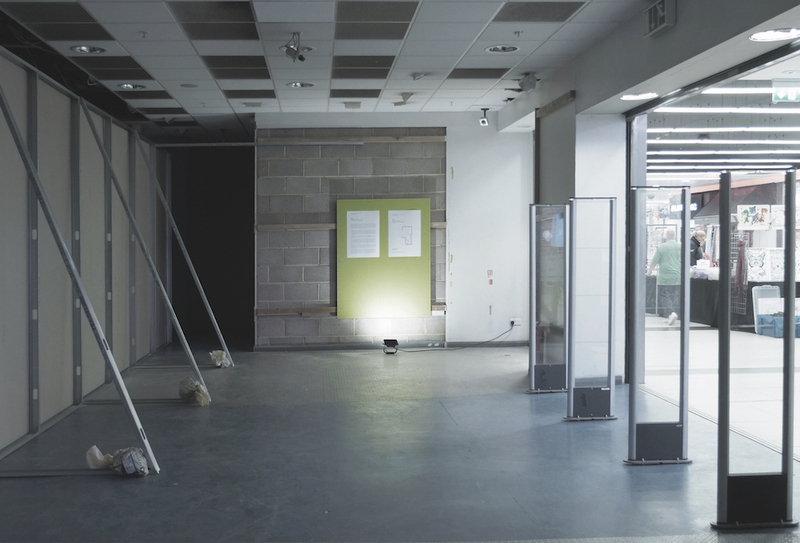 Her project will also encompass a series of posters developed in collaboration with artist Tom Ackers that further examine the position of the retail unit within overlapping economic and social contexts. Comprised of footage of a single room captured from four different perspectives, Operator (Refinanced I) is partly edited according to a rule-based system. The timeframe of each section within the video is determined by data extracted from the calculations of a loan repayment scheme that imagines the artist’s commission fee as a loan that is paid back, with a 5% interest rate, over the period between the start of the commissioning process (27.10.2014) and the exhibition’s opening date. Each time the work is exhibited, the video is restructured according to new repayment calculations that take into account the increased overall commission fee and the new exhibition date. The original version, Operator, was commissioned by EMPAC, Troy, New York, and was exhibited for the first time at 80WSE, NYU, New York in 2017. The exact figures and calculations are deliberately withheld, and like many financial instruments, Boyd’s calculations pursue a logic that cannot be entirely tracked. 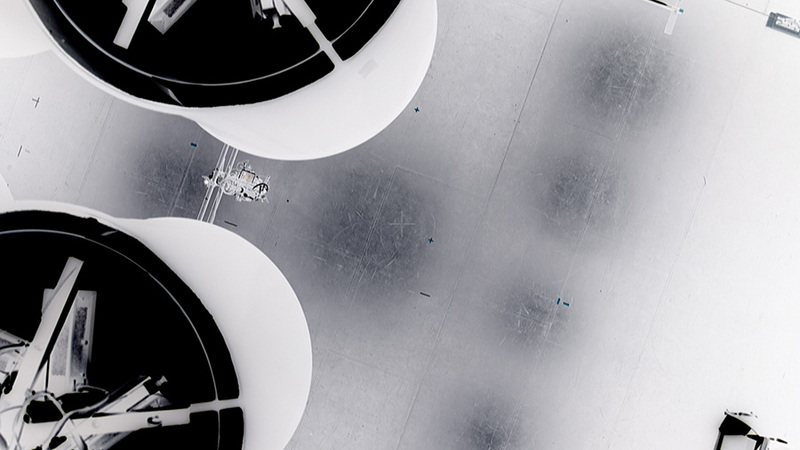 The drone views and multiple camera angles demonstrably fragment their subject matter, and the mathematical model that drives the editing rhythm is a further abstraction. The anxiety provoked by the work’s absurdly rendered temporal and physical constraints is suggestive of debt’s function as a form of social control. Operator (2017) was originally produced through a moving image commission from EMPAC / Curtis R. Priem Experimental Media and Performing Arts Center at Rensselaer Polytechnic Institute in Troy, New York. Read a review of the exhibition by Jack Smurthwaite. Inter- is the fourth episode of NOVEL’s year-long publishing and curatorial project A reproduction of three weeks in May 1970, with forthcoming contributions from Steven Warwick and Helen Cammock. Patricia L. Boyd lives and works in New York. Recent solo and group exhibitions include: Joins, Cell Project Space, London (with Rosa Aiello, 2019); Other Mechanisms, Secession, Vienna; 1856, Melbourne; Good Grammar, Potts, Los Angeles (all 2018); Operator, 80WSE, New York; Us, 3236RLS, London; Mechanisms, The Wattis Institute for Contemporary Art, San Francisco; AEROSOL, 500 Capp Street Foundation, San Francisco (all 2017); Metrics, Modern Art Oxford (2015). She has received moving image commissions from EMPAC, The Curtis R. Priem Experimental Media and Performing Arts Center, Troy (2015-16); and Frieze Film, London (2013).